Wigan have started to up their game at just the right time, and are once again the best-rated side in the division by a clear margin. 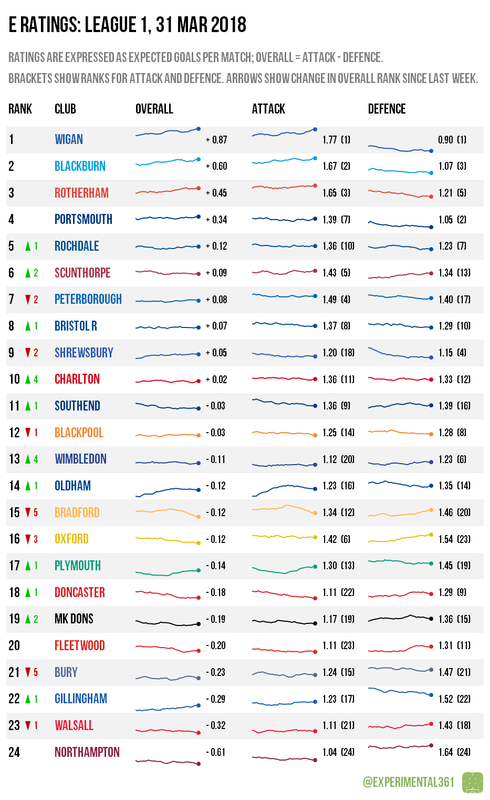 Rochdale‘s win over Shrewsbury this weekend will be less surprising to anyone looking at the data, where Dale have looked far better than their league position while the Shrews haven’t looked quite as good as theirs. Bradford‘s decline has been depressingly swift and their slide shows no signs of being arrested, while Northampton put in another dire performance to further cement their status as the worst-rated team by quite some distance. Shrewsbury‘s defeat means that a top two finish will probably require one of Wigan or Blackburn to suffer a collapse in form, although both they and Rotherham can at least be assured of a play-off place. The lower two play-off berths continue to be fought over by five clubs, with none having a sizeable advantage. 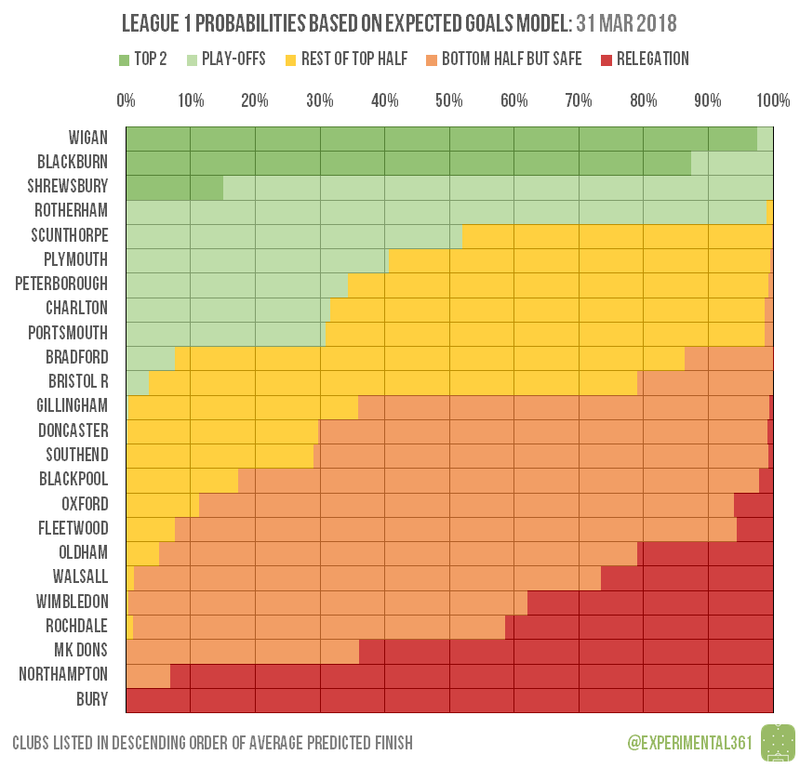 At the scary end of the table it already looks to be curtains for Bury and Northampton, with MK Dons still likelier than not to join them in the final bottom four. Just like the play-off race, there’s plenty still to be fought for however, with four more clubs looking vulnerable to relegation.